Since at least the 1950s, virtual reality (VR) has been floated as one of the next big things in consumer and business tech. All VR applications attempt to make their users feel like they are somewhere else, via comprehensive simulated environments offering audio, visual and sometimes even olfactory cues. However, requirements for powerful computing hardware and safe, easy-to-use headset technology limited the viability of practical VR solutions for decades. Until very recently, only the video game industry saw much success with commercial VR products, but advancements in the accessibility of this technology have spurred innovative applications of VR in the healthcare industry. Now that suitable supporting infrastructure is more readily available, VR is rapidly taking root in other sectors, including healthcare. It is a natural fit in environments such as hospitals and doctor’s offices, where medical professionals regularly review X-rays and MRI and CT scans. With VR, these items can be transformed into high-resolution 3-D imagery in mere minutes, enabling faster and more accurate assessments in injury-heavy cases, such as workers’ compensation (WC) reviews. VR’s possible applications in healthcare, particularly in WC, extend well beyond these improved visuals. According to IndustryARC, healthcare-specific VR and the closely related augmented reality (aka AR) are expected to become a $2.5 billion market by 2020. Their powers of simulation can ultimately benefit payers, patients and providers. Let’s examine some of the most promising emerging use cases in relation to WC. Lack of a clear definition of what services qualified as telemedicine. High variance among relevant state coverage laws. Restrictive telehealth payment rules under programs like Medicare. There have been some changes as telehealth technologies have improved to support crisper, more effective interactions that do not require duplicative in-office visits. VR can be the next step in such high-definition telemedicine. VR headsets offer new mediums for therapy and pain management. For example, patients communicating with remote providers might participate in an immersive virtual consultation or use specialized applications that assist with therapies. Implemented well, VR could reduce expensive trips to clinics and hospitals and also deliver results that help payers understand the utility of specific telehealth and home care treatments in WC. While many major health plans have embraced telehealth, telehealth as a whole is still a relatively new field. As with most new treatments and therapies, their efficacy and necessity take time to fully measure so evidence-based guidelines can be created by payers and providers. Technologies like VR offer great promise for delivering care to a wide range of populations – rural patients, patients with physical disabilities and patients with PTSD, to name a few. Paired with guidance from independent review organizations (IROs) such as AMR, providers are able to better evaluate the medical necessity and overall value of the many different treatments now available to WC patients. The audio-visual fidelity of VR-assisted telehealth is also useful in the management of pain for WC patients. 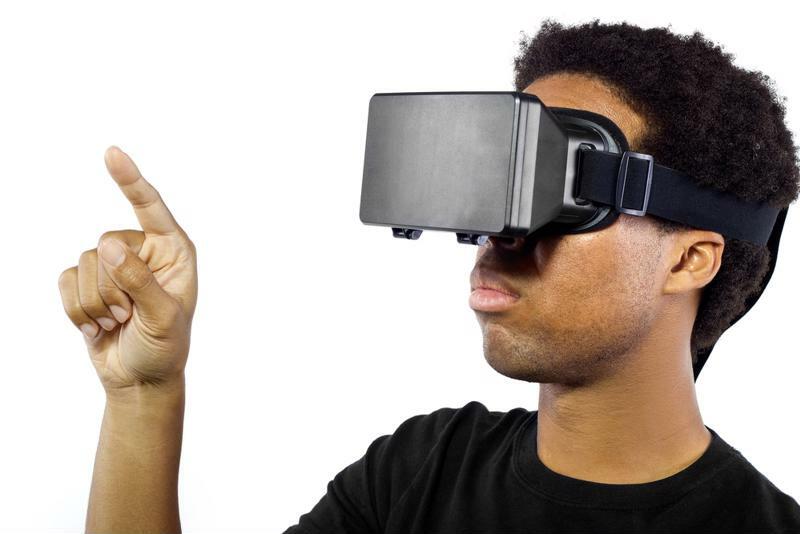 More specifically, a VR headset with a calming app might eventually be a viable alternative to anesthesia and sedation in WC cases requiring minimally invasive procedures. It could also obviate the need for risky opioid regimens. Similarly, VR simulations could augment or replace traditional physical therapy for individuals rehabilitating from injuries. Instead of going to a gym, they would be able to exercise targeted muscles and bones through a specialized game-like experience in VR. Ultimately, they might be able to return to work sooner and require less extensive long-term care and WC benefits. In 2016, a surgeon at Royal London hospital conducted a procedure streamed to 360-degree video and available via an online feed or a dedicated app designed for VR headsets capable of holstering compatible smartphones. This breakthrough could have major implications for broader worker training, including in fields outside medicine. Warehouse teams, factory workers and many others could participate in VR-enhanced training that would allow them to literally walk through complex scenarios regardless of their actual physical locations. The technical sophistication of VR equipment would enable a level of detail and interactivity that would not be available in other video formats, slide deck presentations or training manuals. On the provider side, VR could be used to create super-accurate models of patients’ internal organs during the planning of complex operations. Turning ultrasounds, MRIs and CT scans into a VR representation could result in more successful surgeries and easier recoveries during the WC process. We have only scraped the surface of what VR might bring to healthcare and WC programs. As numerous innovations enter doctor’s offices, hospital rooms and home health environments in the coming years, payers should leverage the expertise of IROs to best gauge the most useful and cost-effective treatments for the healthcare system.